Commonwealth Games silver medal winner Steven Ward has turned professional with MGM. Steven competed at the 91kg heavyweight limit as an amateur - and will be campaigning at light-heavyweight as a professional. Ward said: “I’m excited to be joining such a successful management team and I am looking forward to the road ahead and where they can take me, which I am confident will be a successful one. “ I fell out of love with the amateur sport after being in it for 13 years - and turning pro is something I always wanted to do. “It’s something that I think will suit my style as I have a good engine. 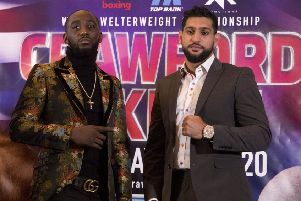 I feel that coming down to Light-Heavyweight will suit me as it’s a weight which I feel great at and have always preferred boxing at,” he added.